Orange you glad you spent millions of dollars on a brand redesign that had a shelf life of eight weeks? PepsiCo isn’t. In response to consumer complaints, company executives have decided to pull-the-plug on the new packaging and will return to the previous design by the end of March. 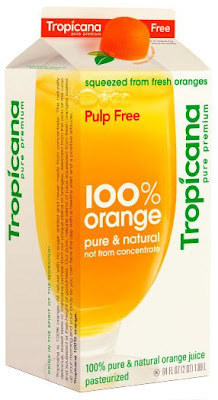 So drink-in this picture while you can, because it might be the last time you will get to see this particular Tropicana package. Unless of course you attend a future branding conference, where one of the topics covered is “epic rebranding failures,” you might see this picture there too. “The about-face comes after consumers complained about the makeover in letters, e-mail messages and telephone calls and clamored for a return of the original look.